The Rod Glove is a proud sponsor to several College Fishing Teams competing for the 2018 Carhartt Bassmaster College Championship. Tenkiller Lake is over 13,000 acres, and has 130 miles of shoreline. 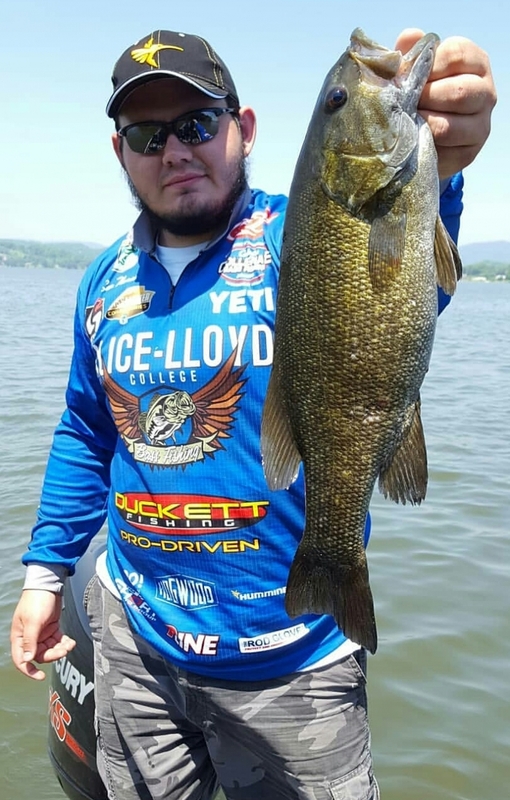 With plenty of inlets and bays, the competing College Fishing Teams will compete for largemouth, smallmouth and spotted bass to bring in a five fish limit. With water temperatures in the mid 80's and the air temperature in the 100's, the 136 teams will have a challenge trying to find the large fish to bring in the winning bags. The teams will have to use their strengths in various fishing techniques as Tenkiller Lake drops down in a few feet in the summer months with drought conditions in the midwest. There are plenty of rock walls providing a nice transitional drop off that will hopefully hold fish for some anglers. Many of the teams have had problems finding a limit of bass during practice days due to the heat and tough bite so the final weigh in could be a grind as the teams from 78 colleges and universities work hard in Eastern Oklahoma. The Rod Glove is a firm believer in our next generation anglers and with many young angler's now winning the Bassmaster Classic and being recent graduates of College and University fishing teams, the trend seems to be continuing. We wish all of our competing teams the best of luck. Written by Shelley Langley, the opinions and expressions are that of the author's.